Typically when replanting, foresters use local tree seed for reforestation. Local populations are generally thought to be the best choice as they have, over long periods time, adapted to the climate conditions of the site. However, with a rapidly changing climate, it is expected that the local populations will be quickly mismatched – potentially within their lifespans, resulting in a widespread maladaptation to both future climate and predicted changes in forest pests and pathogens. The aim of CoAdapTree is to develop strategies and recommendations, such as climate based seed transfer and assisted migration that will help us grow healthy forests that are better adapted to future conditions. 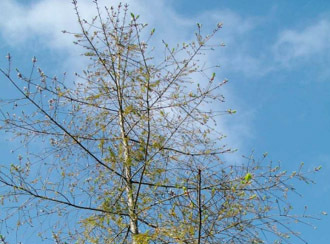 The CoAdapTree Project also aims to develop genomic tools and strategies for improved tree breeding, not only for warmer or drier climate conditions but also for resistance to pathogens. Building on the findings of the AdapTree project which revealed a genetic basis for cold-adaptation in Lodgepole pine and interior spruce (same 47 genes linked to climate adaptation in both species – read more), the CoAdapTree project will examine the patterns and extent of parallel adaptation along climatic gradients for Douglas-fir, Western larch, and jack pine. While climate predictions are generally for warmer and drier climates, cold adaptation is still of importance as seedlings must also be able to survive their current growing conditions with frost being a major risk factor in young plantations. The experiments will involve growing, testing and sampling >10,000 seedlings and established trees from natural and selectively bred populations for their response to drought and frost to determine the candidate genes responsible for drought tolerance and cold injury. The population variation in climate-related traits and the candidate genes will be analyzed and used to inform climate based seed transfer strategies. The seedlings are in their first winter. Drought and frost tolerance experiments will begin in 2018 … learn more. RNA extractions completed and sequencing is underway… learn more. Comparing the physiological responses of Douglas-fir to simulated dryer and warmer climates…. learn more. 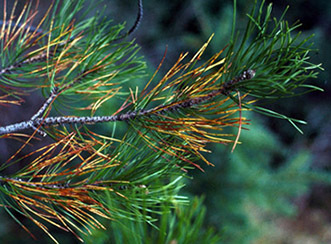 Dothistroma needle blight and Swiss needle cast and are two important diseases of lodgepole pine and Douglas-fir which are predicted to have an increased impact as climates warm. In this study seedlings with a known resistance and a known susceptibility to the diseases will be inoculated and observed for signs of gene expression to determine the candidate genes responsible for pathogen resistance. The spatial distribution of pathogen resistance will be characterized and used to inform climate based seed transfer guidelines. To determine the potential presence of pathogenicity zones, we will study the genomic variability, the conditions of inoculation, and the temperature adaptations of Swiss needle cast and Dothistroma. These results, combined with long-term climate forecasts will be used to generate models of future pathogen outbreak risks. We are putting together large collections of samples of the fungi causing these diseases from many locations in order to study population variation. For Douglas-fir and lodgepole pine, the recommendations for climate based seed transfer will be based on the maps of climate risks to tree growth and survival (from Activity 1 – Climate Adaptation), the spatial distribution of pathogen resistance in populations (Activity 2 – Disease resistance) and pathogen outbreak risks to the species (Activity 3 – Pathogenicity zones). For western larch and jack pine, the recommendations for climate based seed transfer will be based on the maps of climate risks to tree growth and survival (from Activity 1 – Climate Adaptation). Genomic tools will be developed for genotyping Douglas-fir and lodgepole pine in breeding programs for climate change and pathogen risk and strategies will be developed for employing genomics-assisted selection. The potential application of genomic tools arising from CoAdapTree (e.g. genomics-assisted selection) in forest management will be influenced by a complex suite of values-based, ethical and institutional factors. For example, the adoption of interventions to actively facilitate ecological transitions (e.g. through assisted range expansion) to follow anticipated future climates is deeply at odds with conventional management paradigms oriented to historical baselines. Thus, the use of genomics-based tools face not only technical challenges of genomic science, but also challenges associated with prevailing values-based and ethical positions that are rooted in normative views about the extent to which humans ought to intervene in natural systems. What are the socio-economic costs and benefits of different forest adaptation strategies (including novel genomics-based strategies) as perceived by different stakeholders? What is the current level of public support/opposition for these different strategies? How do different publics and stakeholders perceive the potential risks and benefits of different strategies? What is the historic and current policy landscape in terms of barriers and opportunities to the potential uptake of genomics-informed climate adaptation reforestation strategies? 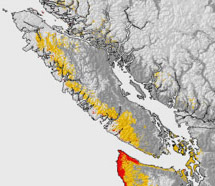 Outcomes of the GE3LS research will provide crucial information about evolving public attitudes towards the use of genomics, the basis of support/opposition for different strategies, and the policy barriers and opportunities for the implementation of novel forest management practices to adapt to climate change in BC’s forests. Our findings will be communicated in scientific articles, policy briefs, community workshops and blog posts. The socio-economic outcomes (e.g. timber supply and cost-benefit analysis, and public/industry values and perception of risks) of using these novel climate and pathogen-based interventions in forest management will be investigated. The historic and current policy barriers to implementing these interventions will be profiled and suggestions to enhance their acceptance will be provided. We have designed and are currently pilot-testing a web-based survey of public perceptions of risk, benefits, and levels of support associated with different forest adaptation strategies in BC. …. learn more. For more general information see “Finding the Genes That Matter“, “What the Future Holds“, and “Variety is the Spruce (and Pine) of Life” in “Seeds, Breeds and Local Needs“, “The Focus of Conversation“, “Surveying the Social Landscape“, and “What is the Best Policy?” in the AdapTree Newsletter.